The Boulder Group, a net leased investment brokerage firm, has completed the sale of a single tenant net leased O’Reilly Auto Parts located at 287 N Ron McNair Boulevard in Lake City, South Carolina for $1,045,000. The 7,500 square foot net leased O’Reilly property is located along Ron McNair Boulevard, the primary north-south thoroughfare in Lake City. Ron McNair Boulevard experiences traffic counts of 12,300 vehicles per day. Retailers located in the area include Walmart Supercenter, Independent Grocers Alliance (IGA), Fresenius Medical Care, Belk Department Store, Family Dollar and a number of quick service restaurants. In addition, Lake City Community Hospital, a fully licensed freestanding Emergency care hospital with 50-beds, is located across the street from the property. There are over 11,000 people living within a three-mile radius of the property. Randy Blankstein and John Feeney of The Boulder Group represented the seller and the buyer in the transaction; an East coast based Investment Company. The purchaser was a Midwest based REIT. The corporately guaranteed O’Reilly Auto Parts has 9 years remaining on their lease which features a rental escalation in 2022 and in each of the four 5-year renewal option periods. This is a proven location for O’Reilly Auto Parts as evident by their 2018 expansion at the property. 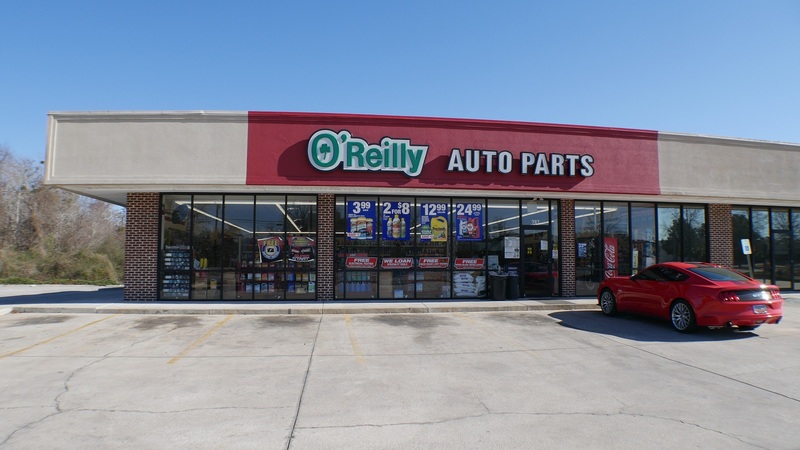 O’Reilly Auto Parts is an American auto parts retailer that provides automotive aftermarket parts, tools, supplies, equipment, and accessories in the United States with more than 4,800 stores. The property also generates income from a billboard lease to Adams Outdoor Advertising. The billboard lease runs through December 2030.